Although Blogger is free, reliable, and straight-forward enough to publish your content to the web, it does not belong to you. It is a service provided by the tech giant Google, which means Google has the right to shut down your web site or remove your access to it at any time. If you are trying to support your business with online marketing, this will be a major risk to the effort and time you put into your site. With WordPress, you use a hosting provider by the company itself, that allows you to own your site. You have full control over how long you want to run it, and when you decide to shut it down or move it. All of your data belongs to you, and you have control over what information you share with a third party. Blogger does give users the advantage of having Google’s secure and robust platform. This eliminates the need for you to manage your server’s resources, create backups, or secure your blog. Since WordPress is a self-hosted solution, you are responsible for security and backups. But this can still be easily managed—thanks to WordPress plugins, you can have your site secured and backed up in an easier way, on a schedule in case you forget. These security solutions are quite reliable, and you don’t risk losing your site to Google, either. WordPress themes make using the platform a lot of fun for business owners. You can purchase any of the thousands of ready-made templates available to create web sites that look professional and reflect the image of your brand. You can customize them as you see fit by changing fonts, colours, and making other modifications. WordPress apps and plugins are also a great way to improve your experience with the platform, and give you more control over modifying your site. As for Blogger, there are only a limited set of templates available, and although you can make changes to them, you cannot create your own layouts or make major modifications. Since Blogger is a free service, it’s hard to beat, but the cost to register a blog on WordPress is not too high. Running a WordPress web site does cost money—first to register your domain, then to choose a web host, and then if you want to purchase a theme, a variety of options are available. Although it sounds like Blogger is the winner in terms of cost, you will be sacrificing several other important areas that secure your business, and ensure that your content belongs to you. Both platforms make it easier for you to start a web site, but WordPress’ potential is the real winner. Whether you want to sell products online, accept bookings, or use your site for any purpose, WordPress has the capabilities and tools to get the job done. If you’re ready to set up your first business web site, or want to improve your preexisting one, consider working with an agent at Numero Uno Web Solutions. 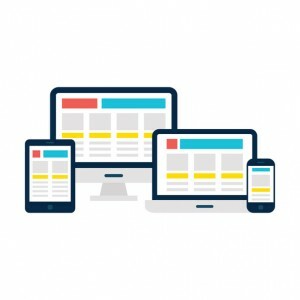 We provide our clients with many marketing solutions such as SEO, ORM strategy development, content audit services, online reputation management, web designing and development, and more. We are a content marketing agency that provides WordPress SEO in Toronto and specializes in helping small- to medium-sized businesses improve their web sites. For years, we have helped clients across the Greater Toronto Area, Texas, Massachusetts, and Florida boost their marketing strategies and grow their businesses. Call us at 1-855-SEO-XPRT to learn more about the services and expertise we provide at our Vaughan location.